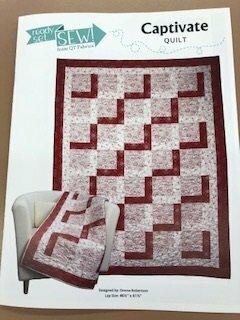 Captivate Quilt, 46 1/2" x 61 1/2"
Kit includes a tote, pin and fabric to complete quilt including binding and backing. Batting not included. Three different ways to put the quilt together.